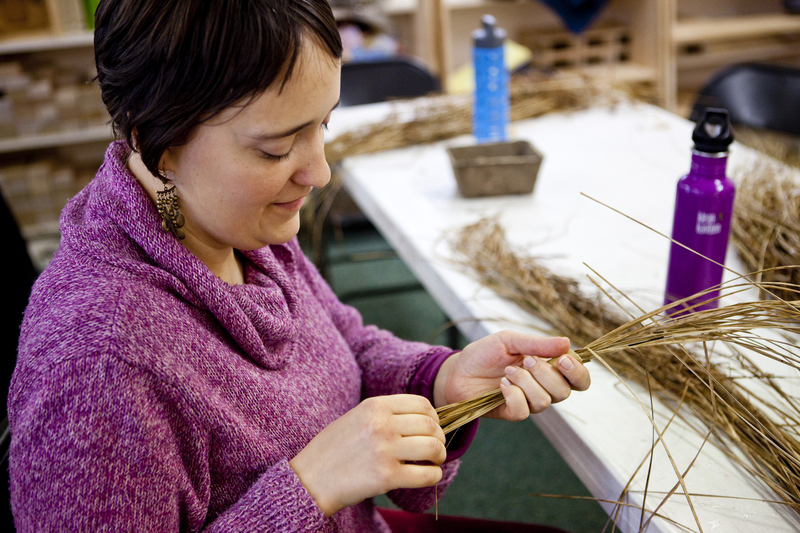 Last Saturday we had an amazing turnout for Wild Earth’s Coiled Basketry workshop, led by myself and Sheena Heinitz! 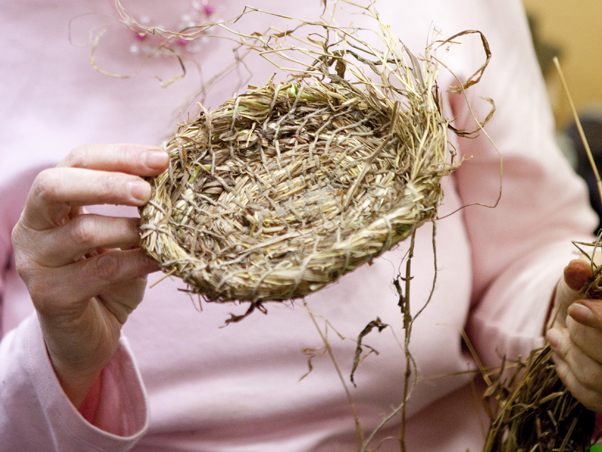 I was so impressed with the array of beautiful baskets that the participants created. Even though we all had the same material to choose from each person’s unique personality shined through in their baskets! 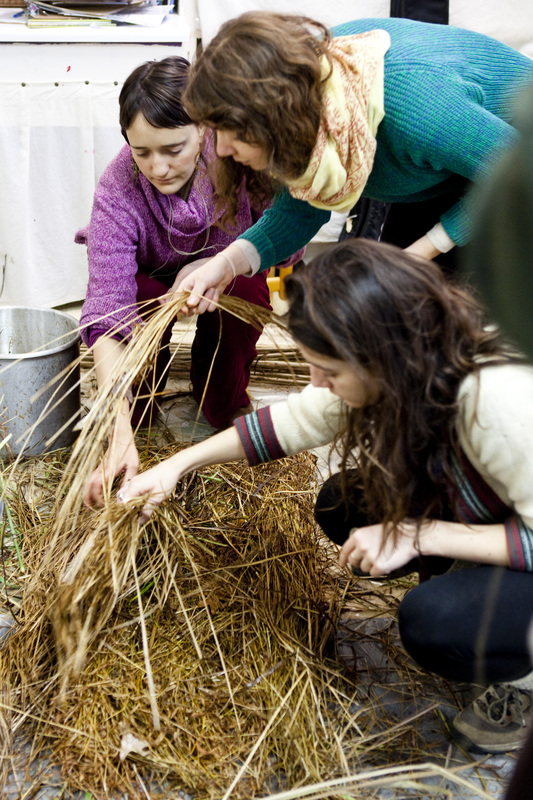 We started out by having a discussion about what types of plants can be used for coiled basketry, where to find them, what time of year to harvest, and how to harvest in an environmentally sound manner. 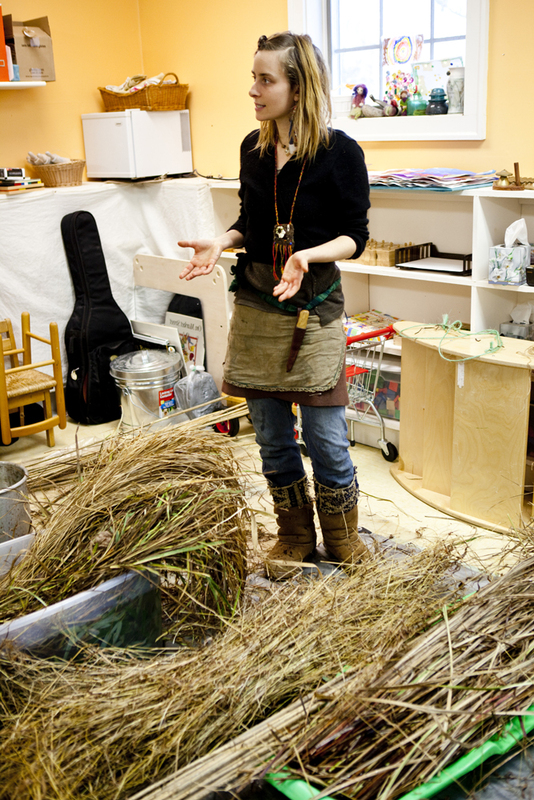 For this workshop we gathered rushes, sedges, grasses, horsetail, bamboo, and some other experimental plant material. Throughout class it struck me how everyone was attracted to using the materials in a different way. 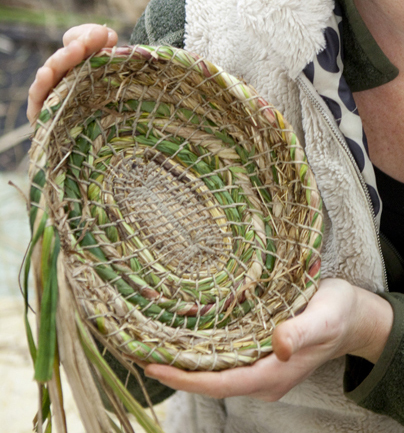 Some chose to focus on only one material, such as grasses, while others incoporated all of them into their piece, resulting in a multi-textured and varied basket. Some people twisted the material as they wove, making a smooth sided vessel, while others let it be shaggy and free. The day was relaxed, with plenty of time for singing as we worked, talking about continuing to learn new skills, and getting to know each other better. Workshop attendee Elizabeth Gross, certified Thai Yoga Therapist, even took the time to lead the group through some hand exercises that revitalized our tired fingers! 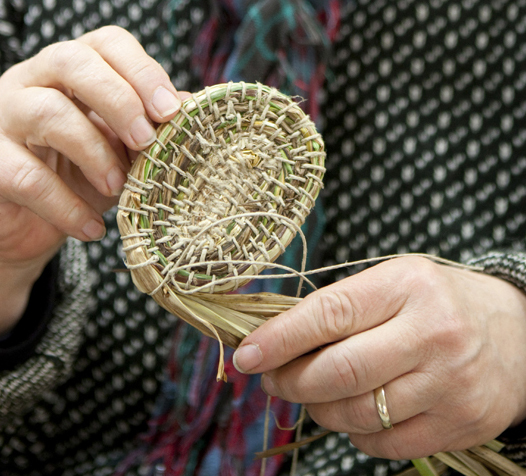 The most challenging part of coiled basketry is the beginning. After everyone had worked through that aspect the baskets really began to grow. 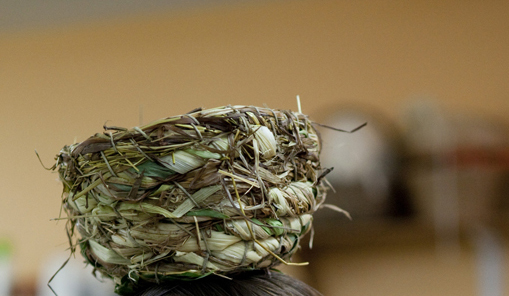 It takes time to create a basket and afterwards a great respect is developed for native peoples all across the world who wove incredibly large and intricate coiled vessels out of local materials. 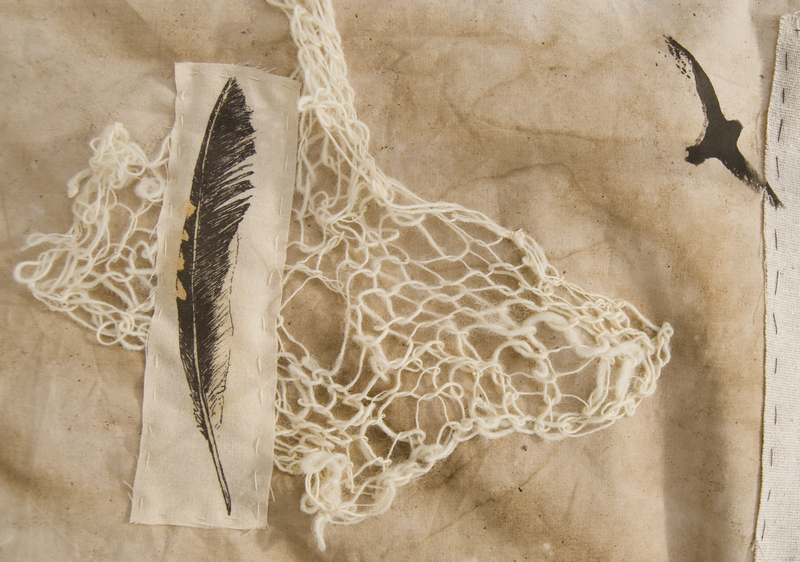 As you get into the flow of sewing each layer to the one before it becomes a very meditative practice. 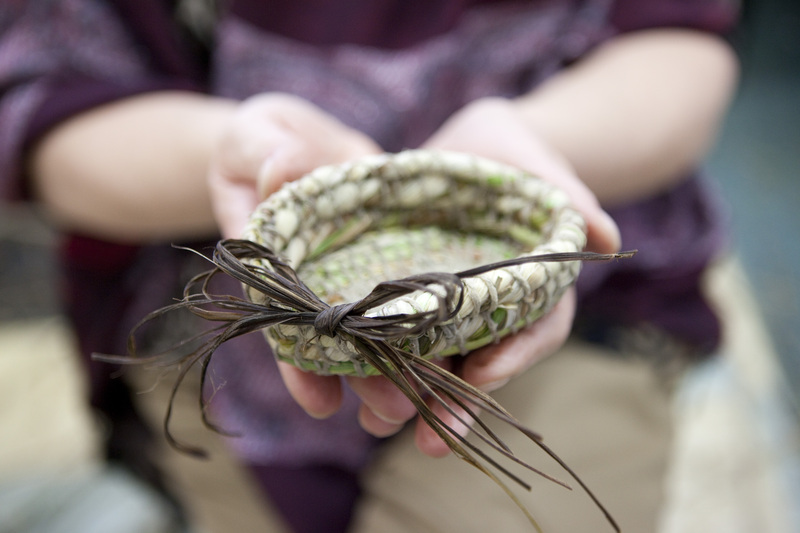 Creating baskets helps connect us. 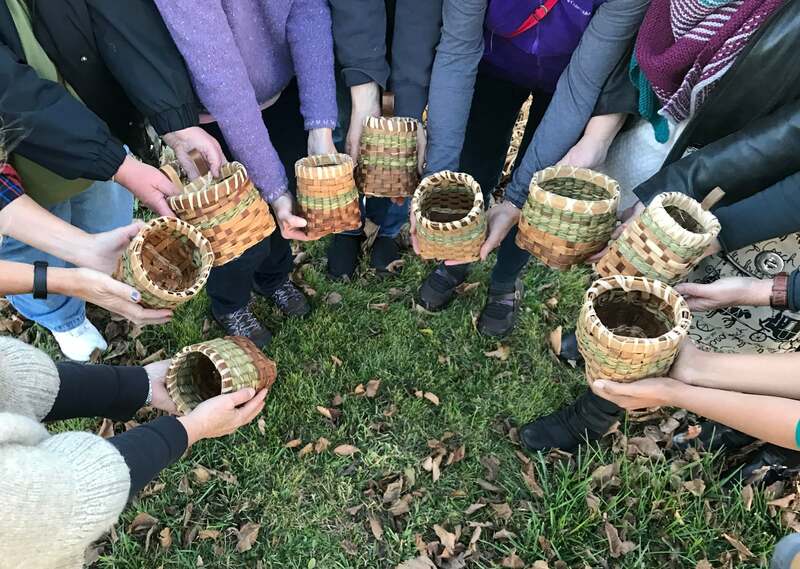 It connects us to the land where we gathered our materials, our ancestors who wove baskets as both a utilitarian and spiritual practice, the community we live in, and to the part of ourselves that shines while working creatively. It was an honor to spend the day with such lovely people and I am looking foward to getting to know all of them better! 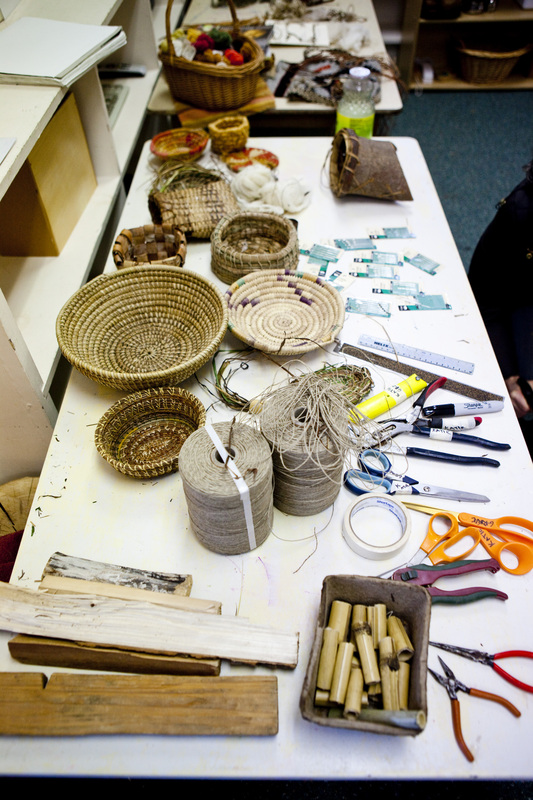 Here is a sampling of the lovely baskets created last saturday! 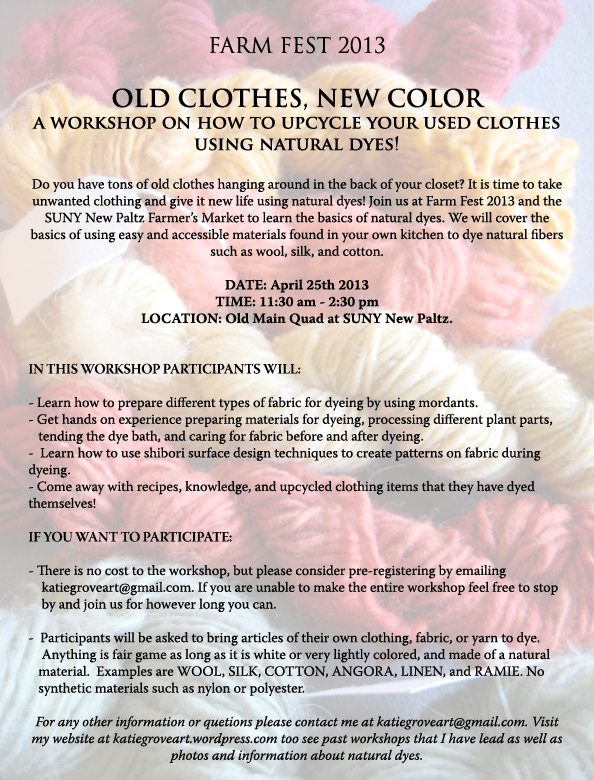 If you have any questions about coiled basektry in general or want to talk about setting up another workshop please contact me. Meanwhile check out Wild Earth’s other programs! To see more photos go to my facebook page Katie Grove Studios.